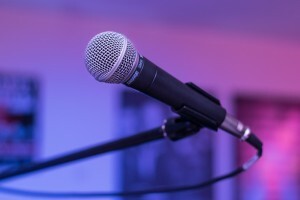 Home › audio mixer › Binaural Sound Experience – What Is It? Hearing, or auditory perception, is one of our five traditional senses. It helps us to identify different people, animals and environments. We can distinguish our friends on the phone and know the difference between a dog’s bark and a cat’s meow. We perceive the ambient noise in the air, may it be in a crowded coffee, a sunlit meadow or in the middle of a city. All of this is captured by our ears and our sense of hearing. And we can play with this sense. We do so on a daily basis by listening to music already. Music inspires us, distracts us or motivates us – all through our hearing. Today, we want to introduce you to an auditory way of story telling created using binaural recordings. What do you have to do to enjoy these “binaural stories”? Just put in your earphones or use your headphones, start the recording and close your eyes. But how are these stories recorded? What makes them so special compared to other recordings? It’s all in the method of recording. Binaural recordings make use of two different microphones, thus creating a 3D-effect for your ears. It feels and sounds like objects are moving in the room around you. Foot steps, bird songs, instruments, they are all located in a 3D environment around you. This effect is not translated well when listening to the recordings over speakers, hence why wearing headphones is a requirement to get the full binaural sound experience. Often times, a dummy head is used for recording, a microphone positioned at each ear. This way, the two recording streams can be combined later on to create the perfect auditory illusion for the listeners. Binaural Beats is a common search term on YouTube. Sadly, many YouTube Videos that use these binaural beats are not using the binaural recording method but rather use sounds and tones mixed to different ears. They are said to spark creativity and help you sleep and if it works for you, we highly recommend trying it. However, what we are looking for are “real” binaural sound stories that make usage of this 3-dimensional recording technique. Enough about the theory! What you want is the real binaural experience, right? 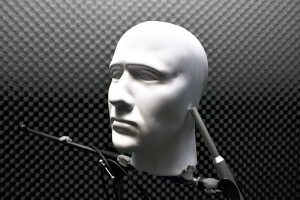 Following, we have listed some interesting examples that can give you an insight of what is possible using binaural betas and the binaural recording technique. Put on your headphones and close your eyes! Crime and tension filled radio drama by Alan Nicholson. Get a virtual haircut by Luigi. Sadly, embedding was enabled on this one, but check out this walk from the Kintetstsu Nara Station to the Todaiji Temple in Nara, Japan. Binaural “evidence” for the difference between New York and Long Island. A binaural and visually 3D ride of a roller coaster in Helsinki, Finland.